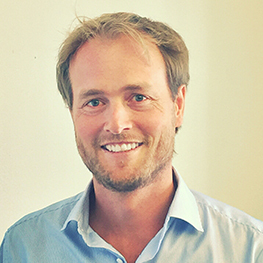 Sietse is responsible for Innovative Finance programmes at UBS Optimus Foundation focussing on financial, legal and operational aspects. Prior to his current role, he worked within UBS & Society, an umbrella platform within UBS Group, to grow the Bank into a leader in sustainable banking as well as within strategy development at UBS Asset Management. Before joining UBS he worked for ABN AMRO Bank in Singapore and the Netherlands and Arthur D. Little in various roles in strategy, M&A and performance management. He has a Master’s degree in Industrial Engineering and Management Science (Process Technology) from the University of Groningen (the Netherlands) and grew up in the Netherlands, Botswana and Kenya.